The painted desert is an area in northern Arizona that is 60 miles wide and 120 miles long. It is a type of dry terrain of soft sedimentary rocks and clay-rich soils which have been eroded by wind and water. They look like soft hills, but they have steep slopes with no vegetation on them. The layers are siltstone, mudstone, and shale from the Triassic period (about 200 million years ago). Wind, water, and soil erison continue to wear away the formations and change the landscape. 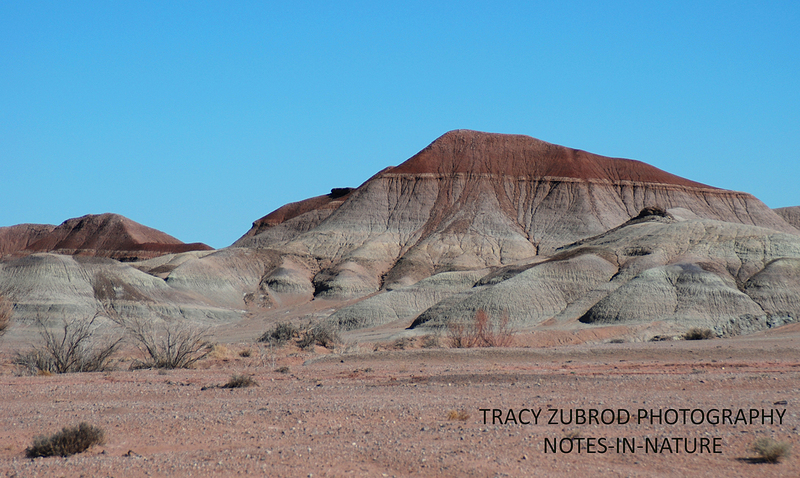 Common geological forms seen are buttes, mesas or hoodoos. A butte is an isolated hill with steep or vertical sides, with a flat top. A mesa is an elevated area with a flat top and sides with steep cliffs. A hoodoo is is a tall, thin spire of rock protruding from the bottom of a formation. 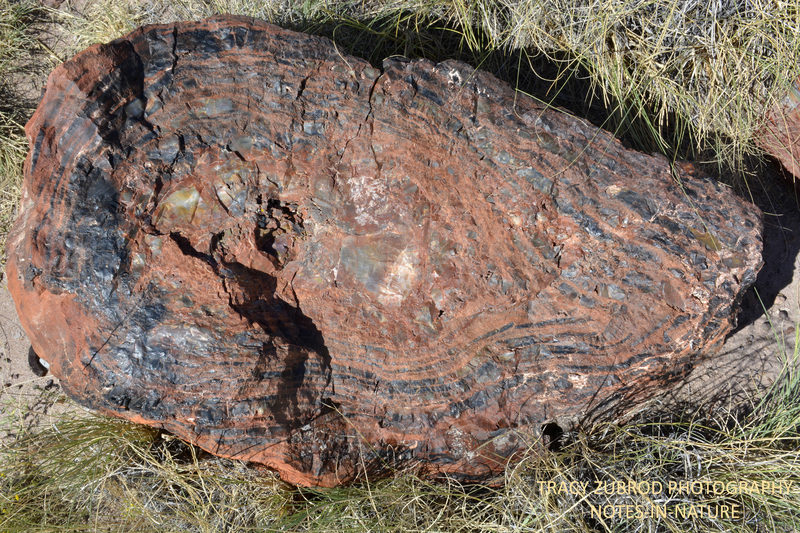 Petrified wood is actually not wood at all, but rocks. During the Triassic period, about 200 million years ago, these rocks were created when dead trees, conifers like pines, cypresses or cedars, fell into the water and were carried downstream. They were then buried under sand and mud while stuck on the bank, the deep burial sealed the tree away from bacteria and oxygen, which prevented decay. Eventually silica mineral in the ground was infiltrated by water into the tree, which replaced all organic material with quartz crystals. 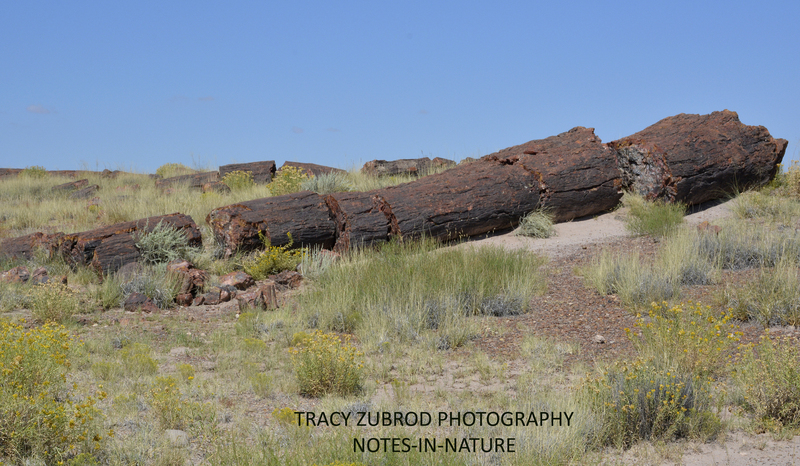 This is how the logs became petrified. Different minerals in the ground created the different colors. 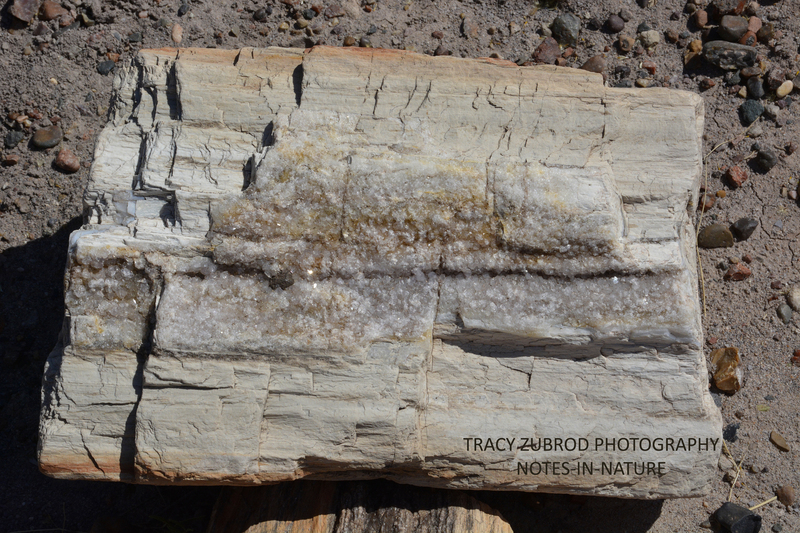 Over time, erosion of the surrounding rock layers exposed the petrified wood. Further erosion undercut the logs, causing them to crack and break into segments. There are still other trees buried under the soil and rock in the area. 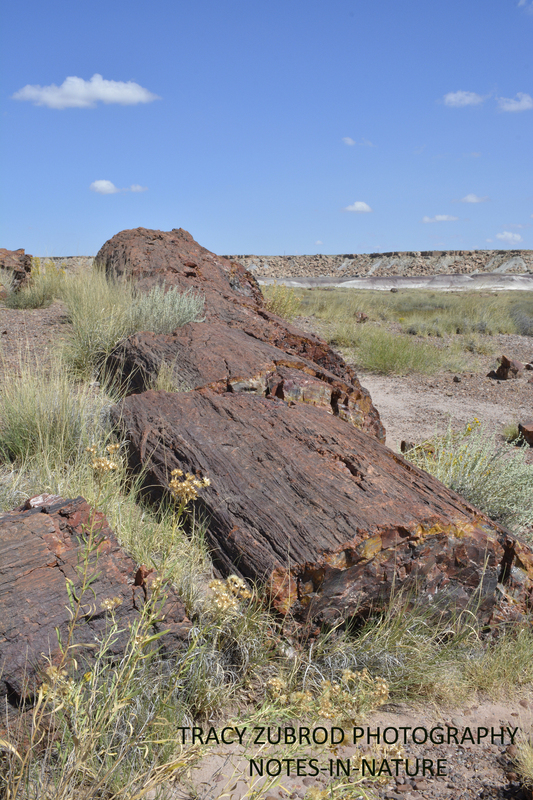 The Petrifed Forest National Park in on the Colorado Plateau in northeastern Arizona. 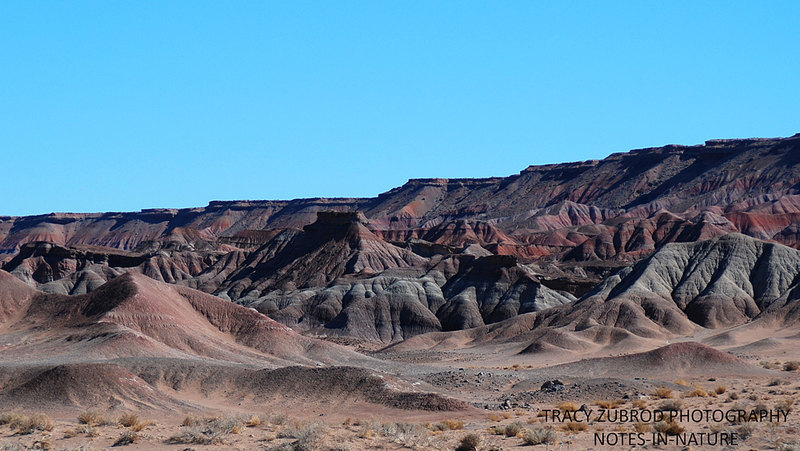 The Painted Desert stretches from the Grand Canyon into the Petrified Forest.